The mission of the Goodman Family Judaic & Archival Museum at Temple Israel is to preserve our cherished heritage. The Temple Israel Museum & Fine Arts Committee supports the Museum as a way to enrich the lives of our Temple families. Thanks to funding provided by the Goodman Family Judaica Museum Fund, we’re able to collect, preserve and exhibit articles from antiquity to modern times that represent the historical, artistic and cultural development of the Jewish people. 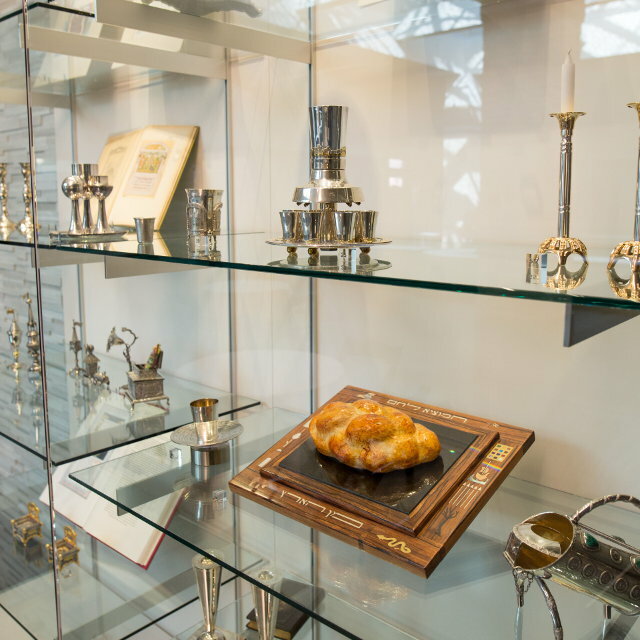 Our lovingly collected artifacts demonstrate how Jewish art is firmly rooted to ritual and bound to spiritual life. Next time you’re at Temple, come visit us in the Wasserman Atrium to enjoy the ever-changing exhibits. Questions? Please contact Tracie Fienman or call 248-661-5700. 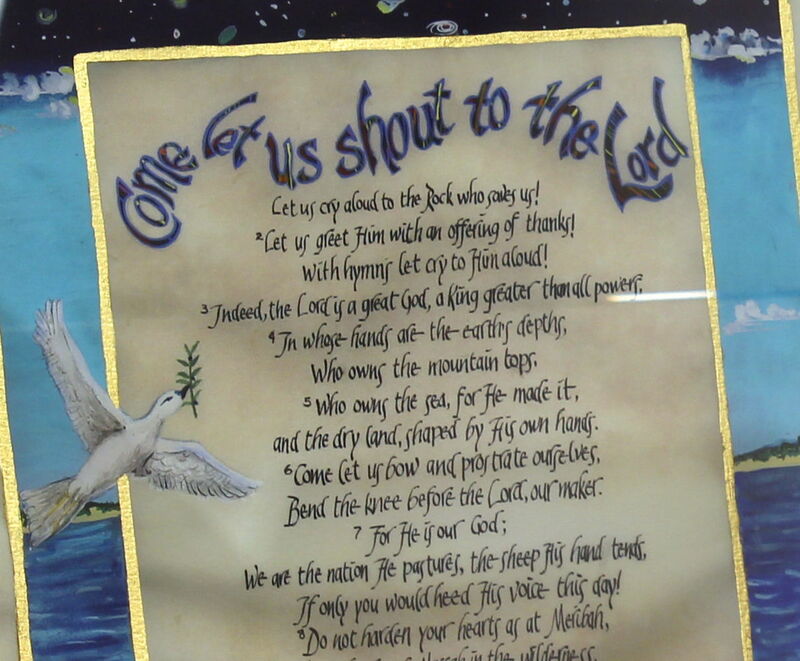 Temple Israel’s Goodman Family Judaic & Archival Museum is pleased to feature an illuminated manuscript of the Kabbalat Shabbat liturgy by artist Debra Band. The exhibit presents limited edition prints of a portion of the more than 90 original illuminated paintings and paper-cuts at the heart of the forthcoming book, Kabbalat Shabbat: The Grand Unification, the first illuminated book presenting the entire traditional liturgy for synagogue and home. Part of the mission of the Goodman Family Judaic & Archival Museum at Temple Israel is to acquire and preserve a permanent collection, a legacy to be inherited by Temple Israel generations to come. 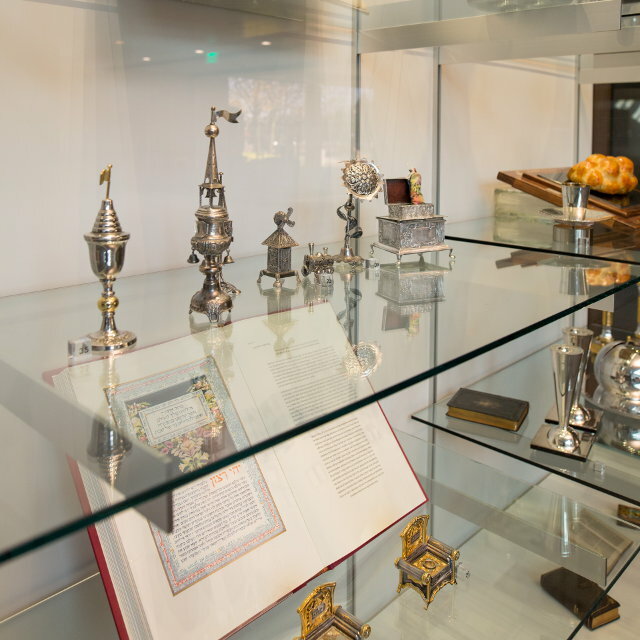 Through the generosity of the Goodman Family Judaica Museum Fund and many Temple members, we have started a beautiful collection that is continuing to expand. Are you looking for a special way to honor someone you love? 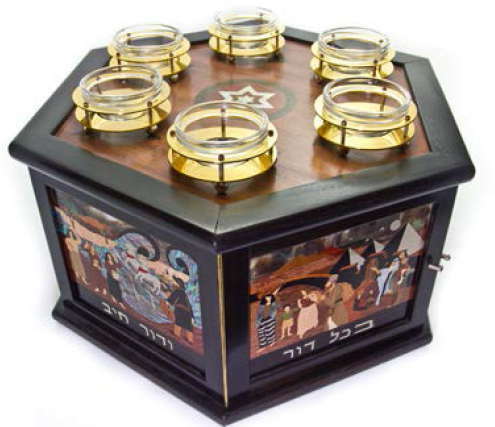 Consider dedicating a beautiful piece of Judaic artwork. 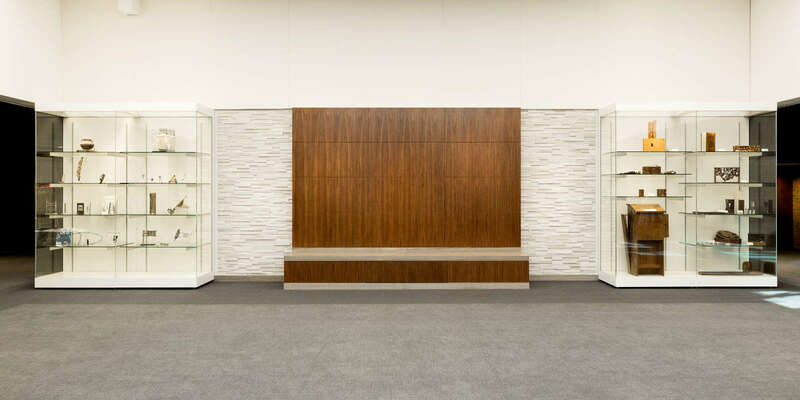 By making a gift to the Museum in honor or in memory of a loved one, or in honor of a life cycle event, you will be part of the continuing legacy of a permanent Judaic collection, which will be enjoyed by Temple Israel for generations to come. For more information, please contact David Tisdale or call 248-661-5700.